Your ability to drive above-market growth depends on the depth of your customers insights and how well you can turn these insights into concrete actions. 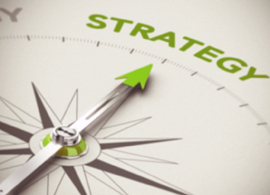 We use innovative yet pragmatic strategies to deliver deep consumer and market understanding. Primary research is a brand new research which is carried out to answer specific questions. Questionnaires, surveys or interviews are used to collect original data which is known as primary data. Primary research helps you uncover patterns and insights that enable you to make informed business decisions. Let your company spark innovation, discover the most promising sources of the growth, develop successful products, and communicate effectively with the target audience using our primary research services. Don’t let the speculations and a few observations direct your strategy. Discover actionable insights with our cost-efficient, responsive and innovative market research techniques. We employ a range of qualitative and quantitative approaches and advanced analytics solutions to develop a deep understanding of consumer insights. Focus groups, one-on-one interviews, and online community management are just some of the qualitative techniques that we use to generate useful data. We carefully select the panel and design questions to maintain a direct connection with your customers. Our quantitative techniques include social media, online and email surveys, monitoring digital analytics platforms, and more. The sample size is chosen appropriately to reflect the real demographics of your customers. Online surveys are designed in such a way that consumers can speak freely. It helps us get honest feedback from your clients. This data acts a gold mine for developing sound marketing strategies. We use big data and predictive, descriptive and prescriptive analytical tools to generate accurate insights. The descriptive analysis tells you "what has happened" in the past. The predictive analysis accurately predicts the events in the future, which can impact your business significantly. Through prescriptive analysis, we answer the question "what should you do next?" to mitigate the risks and grow your business above-market rate. DirectiveGroup’s primary research techniques combined with big data and predictive analytical solutions help you uncover useful intelligence about your clients’ behavior. You will have a better understanding of your customers’ purchase decision journey and their experiences with your brand. Using our primary research services, you can develop innovative marketing strategies and create a strategic differentiation of your brand. Apply our insights and significantly boosts your marketing efforts through effective value propositions, better segmentation, creative branding strategy, innovative product design, attractive pricing, and better customer experiences. We use proprietary tools to enhance your digital performance continually. It helps you solve thorniest marketing challenges with ease create a new definition for "excellence". Let us make your tomorrow better with a well-crafted digital strategy backed by a original data and superior research methodology. Want to know more? Get in touch with our domain experts by giving us a call at 1-866-925-9524. We also have marketing resources available that you may have some interest in.